In This Moment is an American heavy metal band from Los Angeles, United States, formed by singer Maria Brink and guitarist Chris Howorth in 2005. 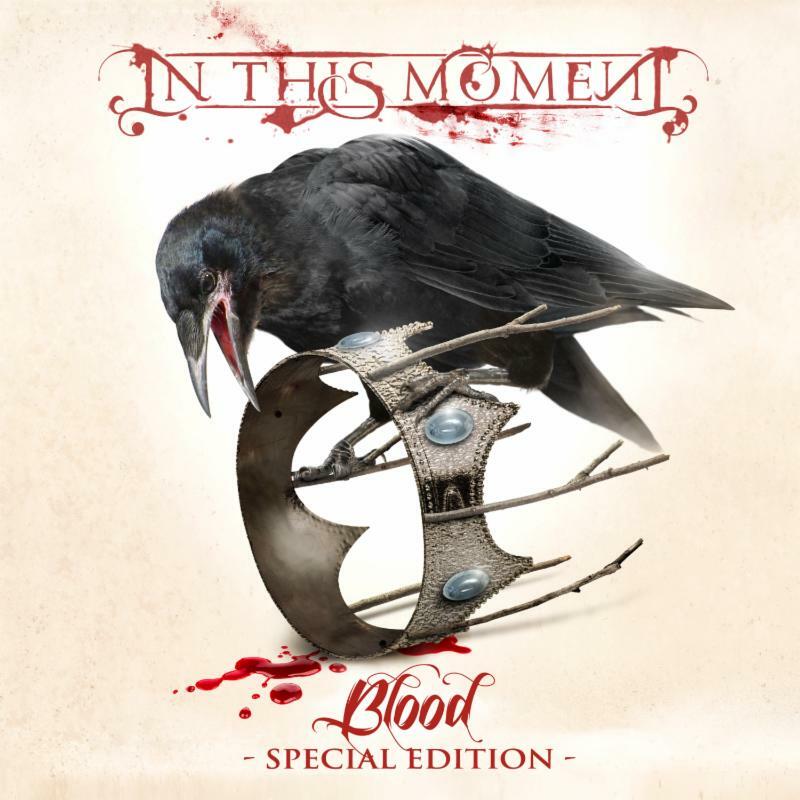 Blood is the fourth studio album by In This Moment, released by Century Media on August 14, 2012. The above is the cover artwork for the special edition of the album and the font used for the album title is Feathergraphy Swash by Måns Grebäck. For the logo of the band, it was probably designed based on Weiss, an old style serif designed by Rudolf Weiss and based on typefaces from the Italian Renaissance. If you do not want to download and install the font but just like to create simple text or logos using Blood (In This Moment) Font, just use the text generator below. The following tool will convert your entered text into images using Blood (In This Moment) Font, and then you can right-click on the image to save it or click on the "EMBED" button to get links to embed images on the web.